Just the word Alaska brings to mind images of snow-capped peaks, glaciers, and untouched wilderness. And that’s what you’ll get – and more – over the course of 13 adventure-filled days. More than twice the size of Texas but with the population of less than North Dakota, Alaska is an outdoor-lovers paradise. 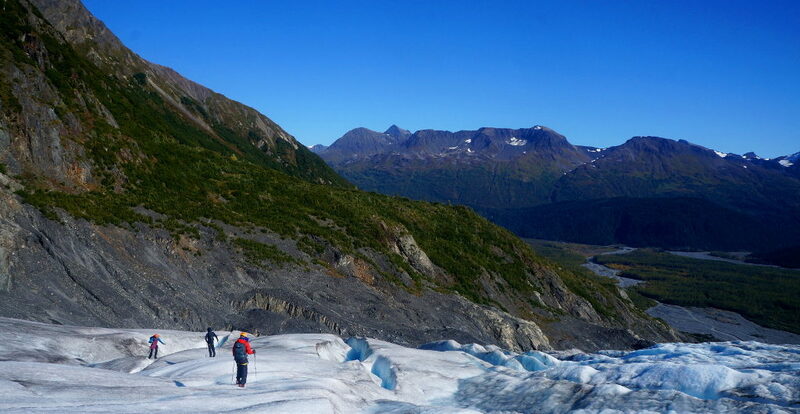 We’ve designed Alaska Mountains & Coast to strike the perfect balance of stunning backpacking in the Chugach Mountains, idyllic sea kayaking through coastal fjords, and awe-inspiring glacier hiking and ice climbing on the legendary Exit Glacier. Whether you’re a seasoned outdoors person or just excited to explore “The Last Frontier”, there’s no shortage of adventures to be had. On arrival, we’ll head straight from the Anchorage airport to the nearby Chugach State Park – the third largest State Park in the country. Over the next several days, we’ll hike and backpack the Chugach Mountains, taking in panoramic views of the Alaska Range, Talkeenta Mountains, and, of course, Denali, the highest mountain the United States. Our trails will take us through glacier-cut valleys, we’ll sleep on the shores of pristine backcountry lakes, and we’ll keep our cameras at the ready for moose, mountain goat, and Arctic ground squirrel sightings. After three nights in the Chugach backcountry, we’ll transit to our next basecamp in coastal Seward. Upon arrival in Seward, we’ll meet our kayaking guides and prepare for our two-day sea kayaking expedition. Two full days of paddling the numerous, stunning fjords of Aialik Bay, highlighted by a visit to the massive Holgate Glacier, will follow. We’ll watch for snuggling sea otters, playful seals, iconic eagles, and adorable puffins. Paddling along the shoreline of towering mountains, we’ll gaze in awe at aquamarine waters of the Pacific Ocean. We’ll spend the night camping under the stars while listening to nearby glaciers calving before eventually heading back to basecamp, scanning the sea for humpback or orca whales. Returning to Seward, our final adventure will bring us to the Antarctica-like landscape of Exit Glacier, one of the most notable glaciers branching from the Harding Icefield, the largest contained icefield in the country. After a gorgeous warm-up hike to our entry point onto the glacier, our professional guides will provide crampons and other safety equipment, along with a detailed safety briefing, before we head onto the ice. In addition to exploring the various features of the glacier by foot, we’ll also have an opportunity to ice climb out of the crevasses. After our day on the glacier, we’ll spend our last full day together working on a service project with a local organization before celebrating our two weeks of adventures in Anchorage. How physically challenging is AKMC? Given a rating of Challenge Level 5 (out of a maximum of 10), we consider AKMC to be a intermediate hiking trip that any moderately fit, motivated student can successfully complete with some prior preparation. Compared to similar hiking trips, we believe that AKMC is slightly more challenging than Maine’s Downeast Explorer (mostly due to the extended backcountry portion and slightly longer mileage), but easier than Northwest Explorer. We consider AKMC to be comparable in challenge level to our California Mountains & Coast trip. Please note that all of Apogee’s Challenge Levels are not scientific and are subjectively calculated by the Apogee staff. Our AKMC groups will be camping every night over the course of our trip; we will spend eight nights in established, front country campsites, and four nights in the “backcountry” (one night island camping and three nights backpacking). Leaders will separate students by gender into tent groups, and will rotate those groups several times over the course of our trip. Students will share a tent with one or two other students. What is the difference between front country and backcountry hiking? What will the backcountry portion of AKMC be like? How much weight will my child carry during this portion? Generally speaking, the front country is any area that is easily accessible by vehicles and day users. Hiking in the backcountry, on the other hand, involves hiking and camping in more remote locations without running water or immediate access to advanced medical care. 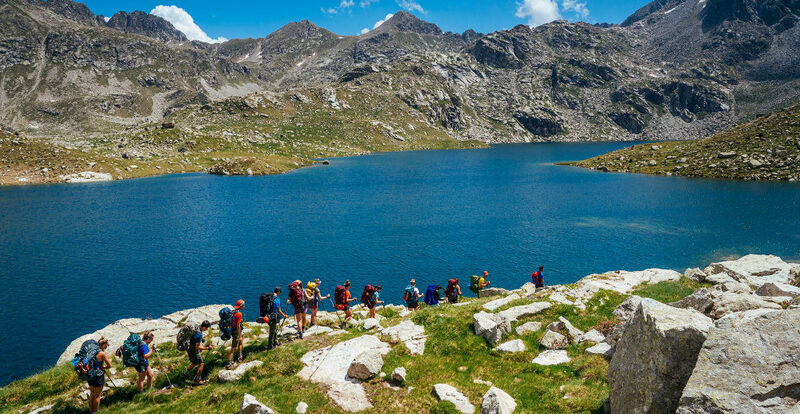 Hiking and camping in the backcountry requires more preparation because of the need to carry in all food and equipment, and treat drinking water prior to consumption. 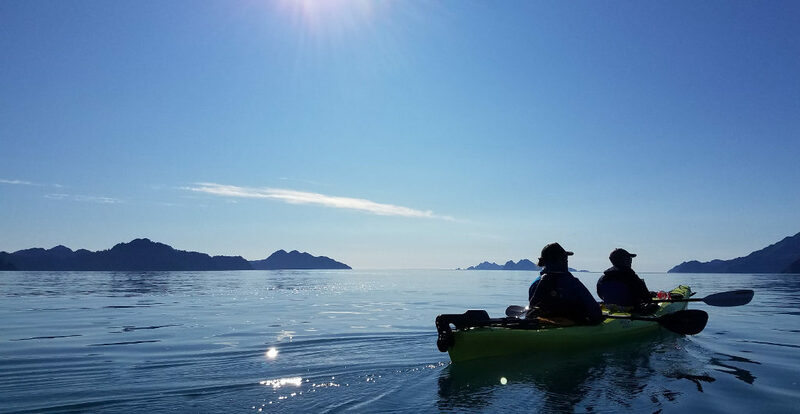 Our AKMC trip has three backcountry portions: two backpacking trips in Chugach State Park (a one-night and a two-night trip) and an overnight sea-kayaking expedition to the Aialak Bay. 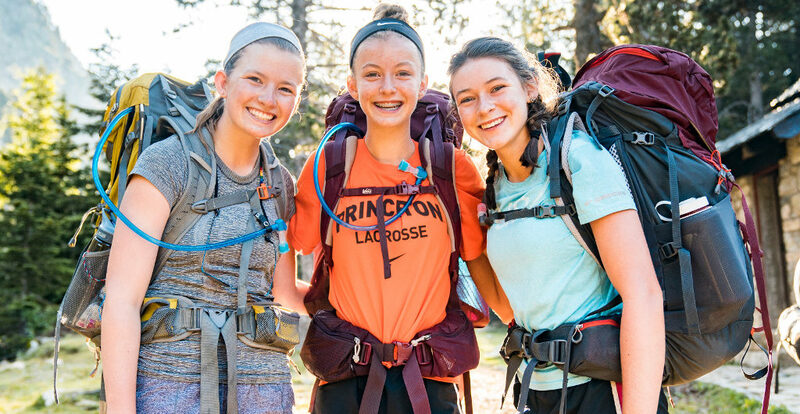 Your child should expect to carry somewhere between 20 and 35 pounds in their pack during this backcountry section. Are bears and other wildlife a factor in Alaska? We hope that seeing wildlife will be a major highlight of our group’s time in Alaska, but we also need to give wild animals the respect and distance they deserve. We want to minimize the chances of surprising a bear or moose when we’re on the trail or attracting them to our campsites. To do so, we’ll make lots of noise on the trail (something that’s easy for a big group like us! ), properly store our food in camp, and avoid any campsites and trails with recent signs of bear activity. Our leaders are trained in wilderness skills and wildlife protocol and will instruct our students on proper protocol, too. You should know, too, that our leaders will be carrying bear spray in the unlikely event of an unintended bear encounter. Apogee’s tuition costs are meant to be all-inclusive and include all meal, accommodation, and activity fees. The most significant additional expenses on our AKMC trip are pre-trip expenses, including travel to and from Anchorage, a sleeping bag and sleeping pad, a backpacking pack, and hiking boots.